Our 1st official day in Osaka is our free day. Yes, we decided this way for us to enjoy Japan without any rush. No tourist destination, just a stroll around the neighborhood. This our day to take things slow, be familiar with the train system and immerse ourselves with Japanese culture. If we discover a site then it would be great so that we can scratch it off our list. We still have another day though for our official Osaka tour. What we only need on this day is to meet my friend’s relative to deliver items they requested. We don’t have free breakfast c/o our host but we have an amount of food supplies we brought on this journey- noodles, bread, coffee, snacks, etc. As we prepare, we decided that we should find the train station so that we will not have a hard time in the coming days. 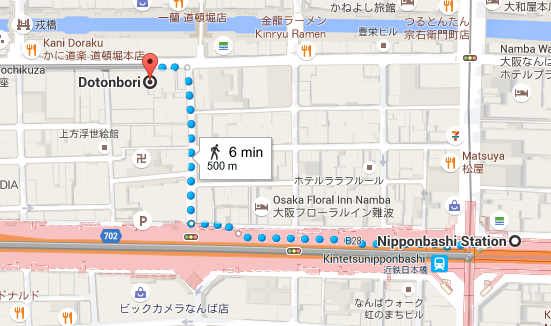 In the map, Namba and Nipponbashi were the nearest station to our place so we will head there. 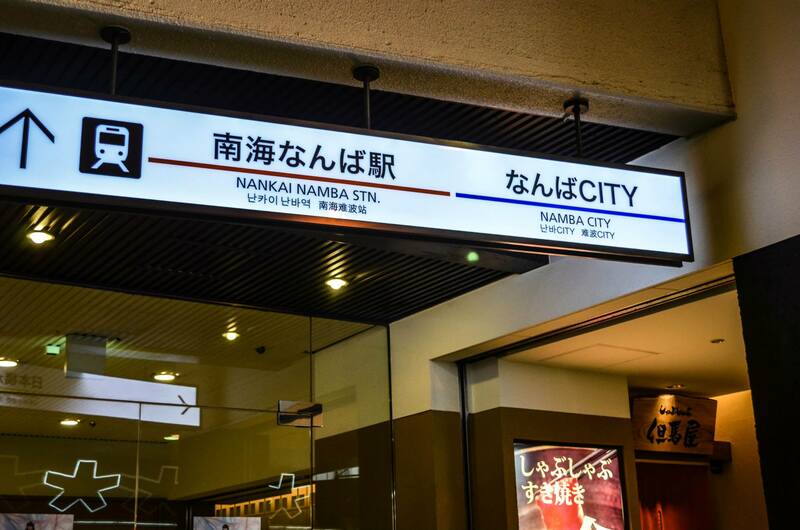 Namba is actually where we should drop off last night instead of Jr. Namba Station which is a bit far. Both are considered walking distance but since we arrived late, taxi is our only option. Equipped with mobile WIFI, We target Namba station first because this is where Nankai Line is, this is our ride to the airport on our final day. Google map said- Just go straight! Ayt! 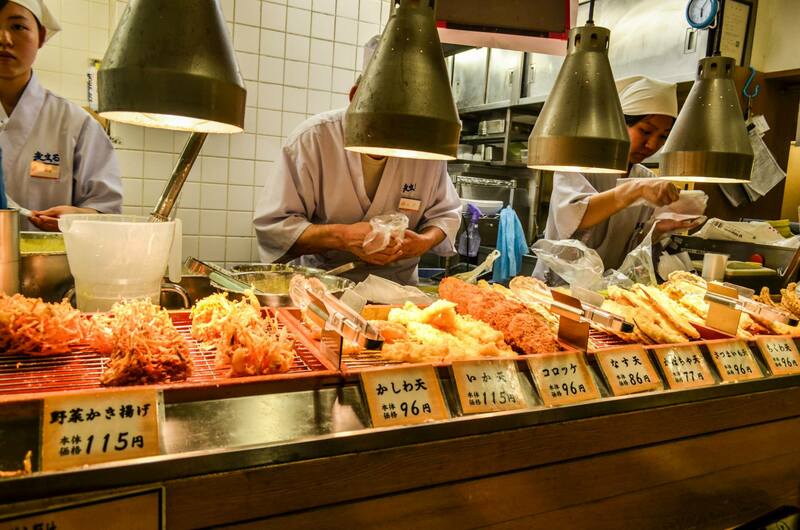 This is a 600 meter long and also known as “Osaka’s Kitchen” which has 150+ stalls of fresh fruits, veggies, sea foods. chocolates, socks and other home products are also available here. 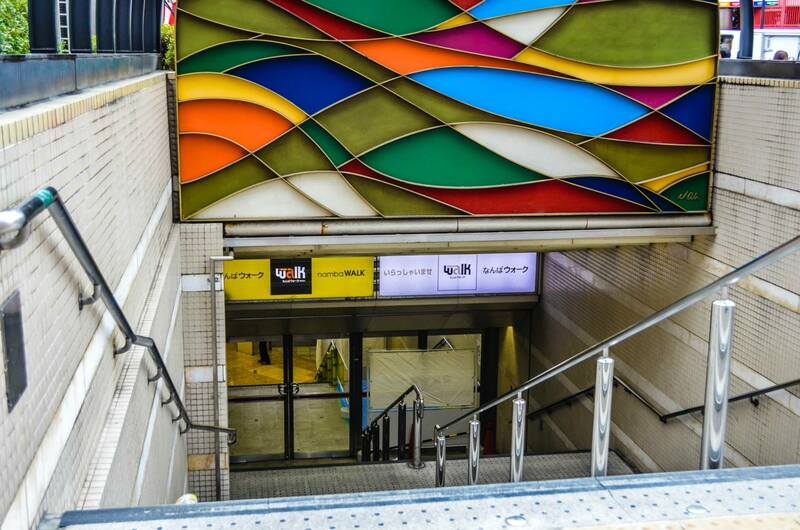 The nearest station is Nipponbashi Station and is just 4 mins walking distance. TIP: Try the foods that caught your eyes right away! 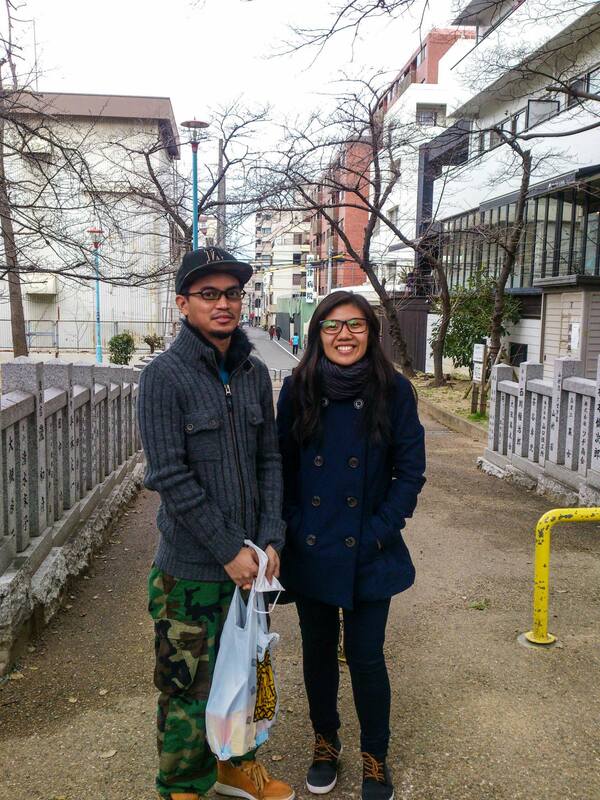 We further walk along Sennichimae Dori and finally found another must visit in Downtown Osaka. One of the largest Electronic Shop in Japan. Bic Camera is a mega store that provides variety of electronic goods, cellphones, camera and accessories, laptops, home appliances, musical instruments and etc. Heaven! We’re really happy that we saw Bic Camera on our first day because we are able to check if we can buy anything. Camera accessories, laptops, and pianos caught my attention. Unlike Kuromon Market, we visited this shop again on our final day because this is where I bought my gadgets and my friend had her Mac Book Air 11 inches for only 28,000 Php. Sulit! Curious about bright and colorful signs,we walk along Sennichimae Doguyasuji ( a shopping/entertainment street) and we discovered one of the past times Japanese are known for, playing Slot Machines. We reached Namba Station- Nankai Line after few minutes. See Map. We didn’t ride the train, we just check it out. In any country we go, we always wanted to befriend some locals but if you have relatives around then its better! 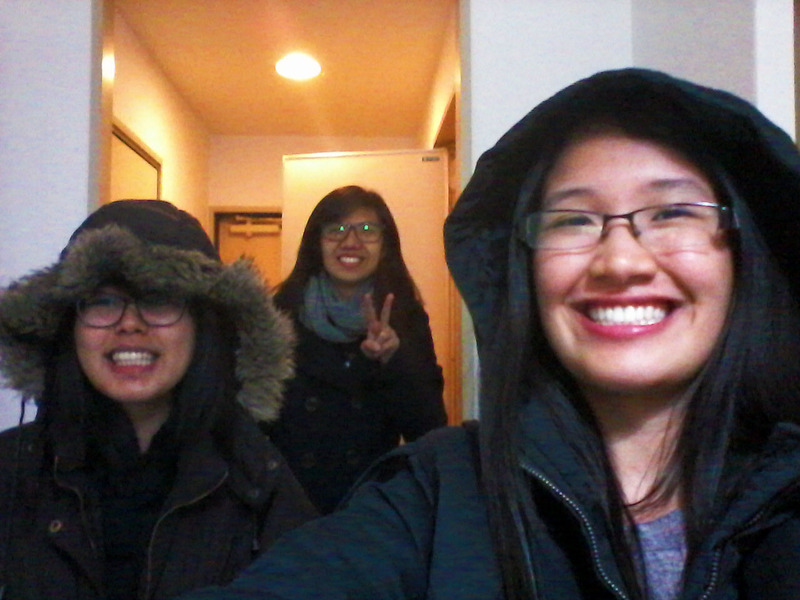 We return to our apartment to rest a little bit before we meet Rona’s nephew. No ride! 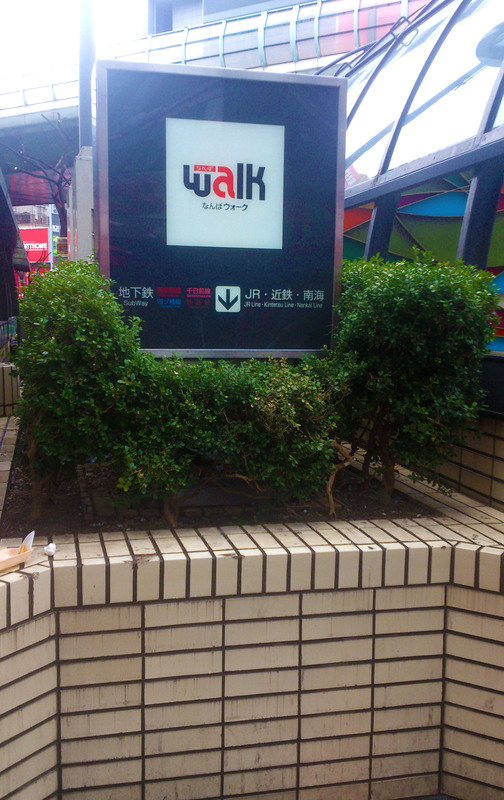 we walk towards Ikutama Park, our meeting place. Of course we’re not really expecting… but because of this meet up we had FREE LUNCH! Wee thank you so much! From our chitchat, they asked us what is our next destination and we can’t say anything because we don’t have any plans for the day. 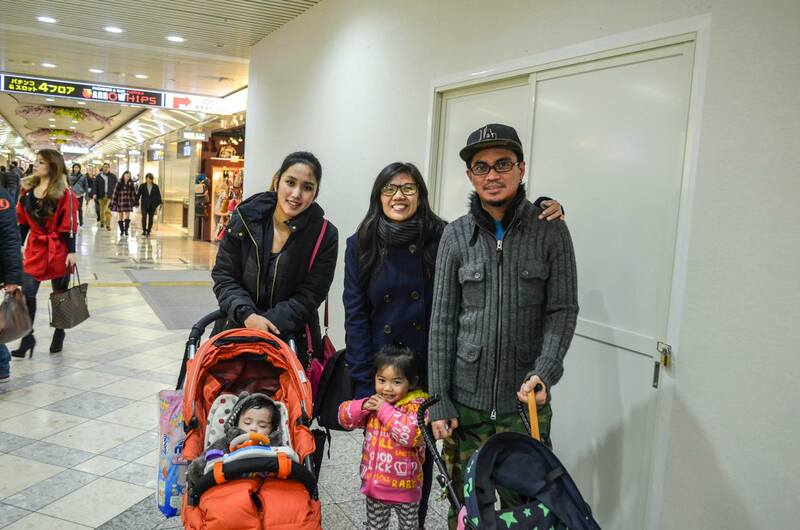 Good thing that they will also buy baby stuff so they accompanied us around Minami (Namba). 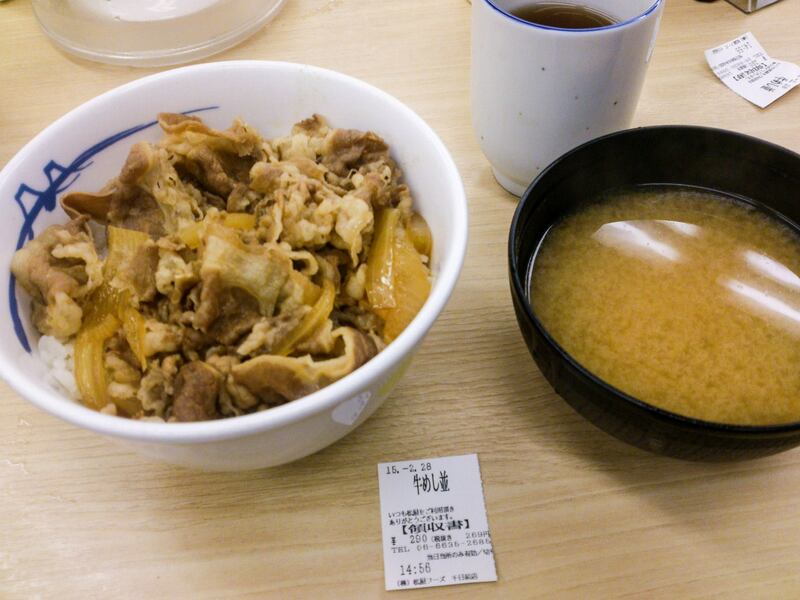 Then after few minutes, we reached… Shinsaibashi-Suji. Another must visit in Osaka, Shinsaibashi-Suji is a very popular, business shopping street that offers branded/designer goodies,food chains, and thrift shops. Want to go gaga over shopping? this is where you should go. and then further walking we ended up in Dotonbori. Lighted by colorful neon signs, Dotombori is another popular shopping and food destination. Famous as well for Glicoman and Dotonbori River Canal. As we missed our food tripping in Kuromon,here we tried, Takoyaki (Another treat). I don’t like Takoyaki before, maybe because the one I tasted is not really good. But here, their Takoyaki are really fresh and cheap as well. Must Try! Walking distance via Namba Station and Nipponbashi. See map. After buying for the kids, they treat us again and this time dinner. Wow! We ate Udon and it was my first time to try since I’m only familiar with Ramen. Udon is a thick wheat flour noodle and often served hot with a flavored broth. I couldn’t recall what we actually ordered but as you can see in the menu, our meal ranges around 77¥ to 560¥ which is just around (30₱ to 200₱). Not bad right? After dinner, they guide us towards Namba Walk. Is an underground shopping district as well and has the best access to subway stations. For tourists, walking underground is better since there are a lot of signs for directions. There is also a Visitor’s Information Center where you can get area and train maps and can ask for assistance ( they speak English).